If you are a fun loving person, loves to enjoy the rainy season, likes to travel watery destination such as water park, beaches and crazy to capture those beautiful moments in the cameras, the option of best waterproof smartphones is definitely a great benefit for you. If the smartphone falls into the pond of water can mar the fun moments when the phone stops working. Thankfully, there are various waterproof smartphones available in the market along with great cameras and attractive features. Here we are going to explain what is the meaning of IP rating, and how it helps you to choose the best waterproof smartphones. Many of the Sony smartphones are waterproof smartphones unless you have not purchased the budget smartphones and even Waterproof smartphones of various brands like Samsung, Google and Apple are also available in the market. The biggest problem is that all these smartphones are manufactured in a different manner and thus do not have uniform protection features and hence their protection level varies. What is the meaning of IP rating? IP symbolizes ‘Ingress Protection‘ and defines the sealing ability of electrical appliances to resist water, moist environment or intrusion of any foreign particle. The first number represents that how much an electrical appliance is protected and prevents the entry of solid particles such as dust, the highest number you being ‘6’ that means total protection. The second digit is for water protection and the best you have seen in this is ‘8’, according to the original IEC standard 60529 (whereas 6K and 9K are not covered under this). 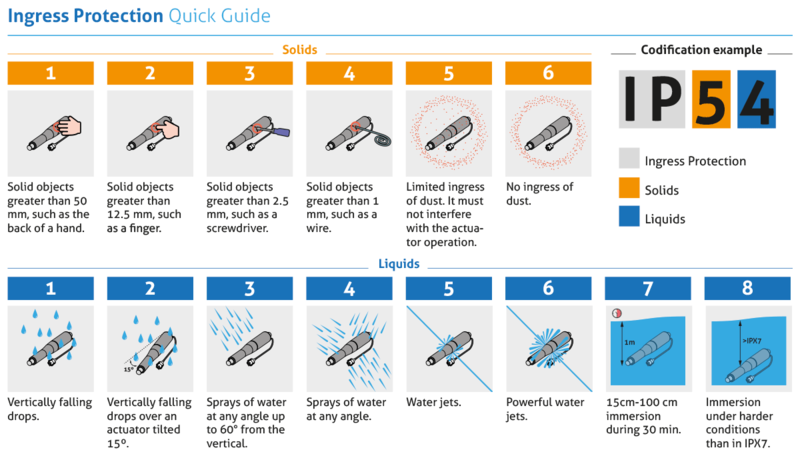 Here it is important to mention that the ratings of water ingress are not cumulative beyond 6 and hence there is no need to regret if the water jet element of any device is 5 and 6 and it is being given 7 rating. If the smartphone IP rating has an X, then there is no need to get misguided by assuming that there is no protection. It simply means that is well protected but has not been given any formal rating. This is the case with smartphones having IP rating IPX6. 1 – >50 mm, any large surface of the body, such as the back of a hand. 2 – >12.5 mm, fingers or similar objects. 3 – >2.5 mm, tools, thick wires, etc. 4 – >1 mm, most wires, slender screws, large ants etc. 5 – Dust protected, Ingress of dust is not entirely prevented. 6 – Dust-tight, No ingress of dust; complete protection against contact. A vacuum must be applied. Test duration of up to 8 hours based on air flow. 1 – Dripping water shall have no harmful effect. 2 – Vertically dripping water shall have no harmful effect with enclosure is tilted at 15°. 3 – Water falling as a spray at any angle up to 60° from the vertical. 4 – Water splashing against the enclosure from any direction. 5 – Water projected by a nozzle (6.3mm) against enclosure from any direction. 6 – Water projected in powerful jets (12.5mm nozzle) from any direction. 6K – Powerful water jets with increased pressure. 7 – Immersion, up to 1m depth for up to 30 minutes. 8 – Immersion, 1m or more depth (exact details vary). 9K – Powerful high-temperature water jets. If you are in search of the gorgeous smartphone along with latest technologies and features, go for Samsung Galaxy S8 Active which comes with IP68 certification that simply means it is capable of surviving even if it is submerged in 5 feet of water nearly for 30 minutes. The Galaxy S8 Active sport a stunning look, broad screen along with resolution of 2960 x 1440 pixels. It is powered by a 2.35GHz octa-core Snapdragon 835 SoC Processor coupled with 4GB RAM. Its flat screen and metal frame are designed in such a manner which helps to protect the smartphone from water drops. It runs on Android 7.0 Nougat- out of the- box. 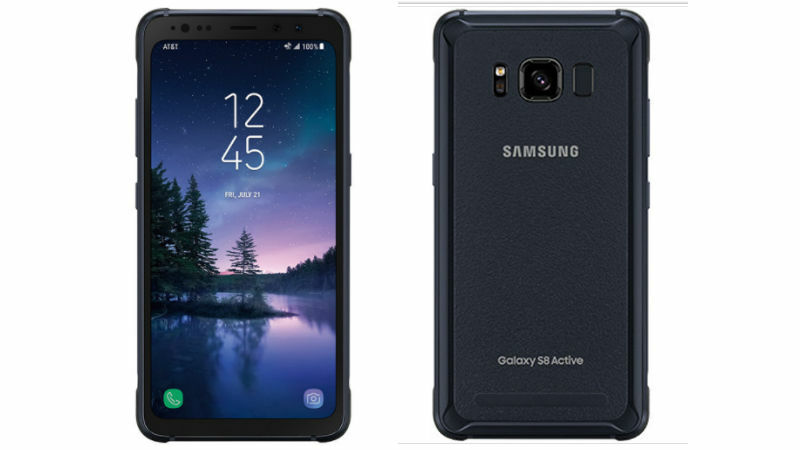 In terms of optics, Samsung Galaxy S8 Active sport a 12-megapixel rear camera and 8-megapixel front-facing camera for taking selfies and video calling. The IP68 rating indicates that the smartphone has the capacity to deal with solid particles and liquid as well. There is a 4000mAh non-removable battery inside which should be enough for the entire day. Likewise Cat‘ other smartphones, the CAT S41 is not designed for the regular user. It comes with IP68 certification which will help to protect the phone from the dust and water resistance. The smartphone is capable of surviving up to 6.5 feet of water almost for one hour but it also developed to work in extreme temperatures from -13°F to 131°F. It not only works in spills, falls or drops but also in freezing conditions and even if it dips into the water. 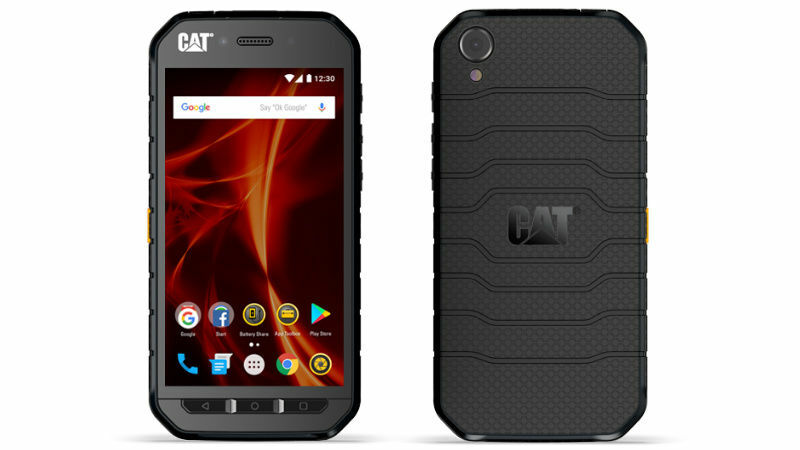 CAT S41 is one of the best durable smartphones and its performance and camera features are outstanding. 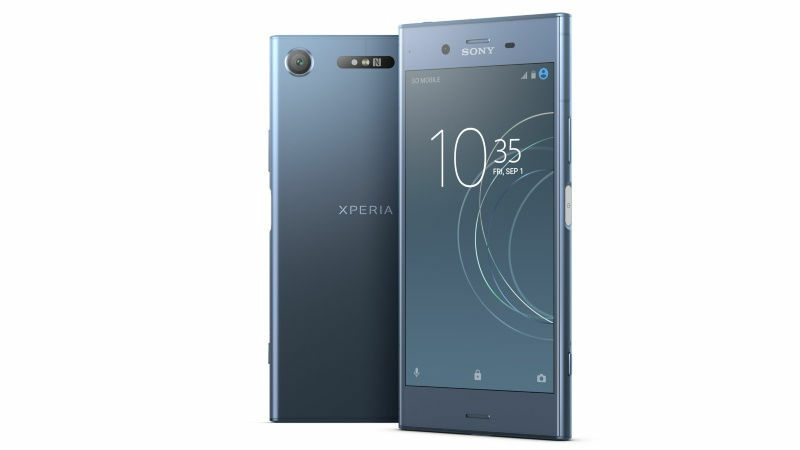 Sony, a multinational company has launched latest top-end smartphones with the name tag Xperia XZ1 at IFA tech conference which was scheduled in Berlin in last month. Sony Xperia XZ1 comes with IP65 and IP68 certification which helps to protect the smartphone from dust and water resistance. The company confidently said that Xperia XZ1 can be survived at a height of 1.5m nearly for 30 minutes. This testing had been done by the company and they confidently claimed that it is correct. On the top of the display, the smartphone has a Gorilla Glass 5 for protection which is tough enough. The company claims that they dropped Xperia XZ1 on the floor several times and nothing happened to the phone. Xperia XZ1 sport a 5.20-inch screen along with a 1080 x 1920 pixel resolution. It boasts an octa-core Qualcomm Snapdragon 835 SoC coupled with 4GB of RAM and 64GB of internal storage that can be further extended up to via a microSD card. 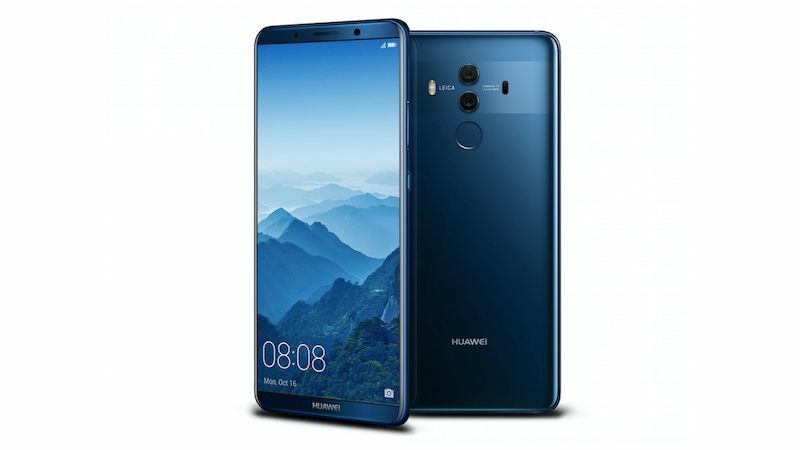 In terms of optics, the smartphone comes with a 19-megapixel rear camera and 13- megapixel front-facing camera for video calling and selfies. It runs on Android 8.0 Nougat- out- of the box and packs a 2700mAh non-removable battery. The original Google Pixel and Pixel 2 XL was a solid device with one very noticeable flaw: a lack of water resistance. 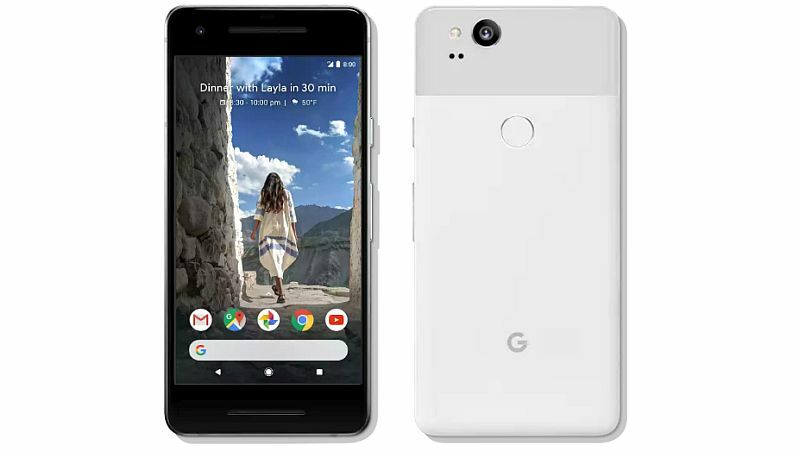 Thankfully, the Pixel 2 and 2 XL rectify Google’s biggest omission in its unique mobile phones, and they’re better smartphones for it. Both are ensured against submersion at the IP67 level, which depths profundities up to 1 meter (3.3 feet) for a most extreme time of 30 minutes. That is keeping pace with the iPhone 8, 8 Plus, and also the iPhone X, though it’s just shy of the Galaxy S8 and S8 Active’s IP68 rating, useful for 1.5 meters (5 feet). In different regards, Google’s latest mobile phones are some of the best Android devices money can buy, though you’ll have to live with the removal of the headphone jack. In the Pixel 2 series, one is 5-inch Pixel 2 and another is 6-inch Pixel 2 XL. As both the displays have been manufactured by different companies they come with different features. 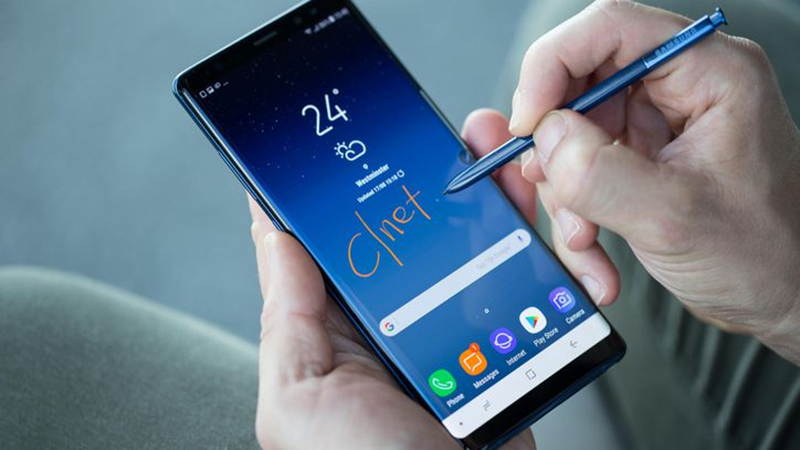 The Samsung Galaxy Note 8 is one of the smartphones which comes under the category of expensive smartphone list. It comes with the certification of IP68 rating which means it is capable of surviving even if it is submerged into 5 feet deep water nearly for 30 minutes without any problem. The IP68 rating means it helps to protect your smartphone from water and dust resistance. 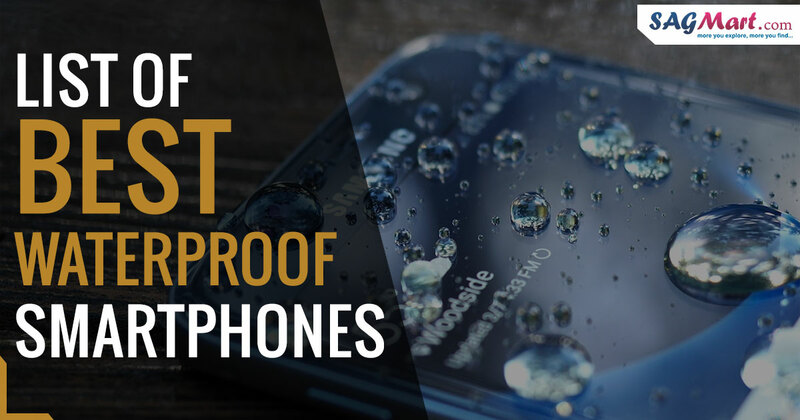 Water- resistance is not only the marvelous feature of the smartphone. Galaxy Note 8 also comes with the broad screen, dual rear cameras and improved S Pen. All of these are outstanding features of Samsung Galaxy Note 8 when you have invested the higher amount of money to purchase the smartphone. Apart from the Galaxy S6, there are several smartphones which come with IP68 water resistance. Both Galaxy S8 and Galaxy S8 Plus which are capable to survive at a height of up to 5 feet of water approximately for 30 minutes. Apart from the water resistance, the S8 and S8 Plus is meant to feature a new broad screen. They are powered by a Qualcomm’s Snapdragon 835 processor and comes with Samsung’s Bixby voice assistant. Likewise, some other durable smartphones that are available in the market you don’t require any additional items for protecting the smartphone or flappy rubber gaskets. Both Galaxy S8 and S8 Plus certified with an IP68 rating that means it protects your smartphone from the dust and water resistance. Samsung Galaxy S8 sport a 5.8 inch Super AMOLED display along with the resolution of 1440 x 2960 pixels and comes with Corning Gorilla Glass v5 which should be a tough enough for protection the smartphone. 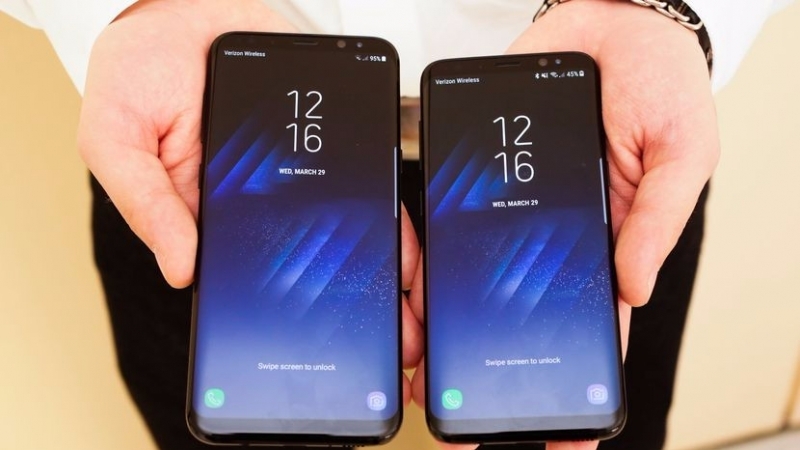 On the other hand, Galaxy S8 Plus sport a 6.2 inches Super AMOLED Display and the remaining features are identical to Samsung Galaxy 8.
iPhone 8 and iPhone 8 plus are being offered by renowned giant Apple Inc which are currently famous for their outstanding performance and features. Both of the Apple phones certified with an IP67 rating which helps to safeguard your Apple phone from dust and water resistance. IP67 rating feature is also available in iPhone 7 and 7 Plus. Both, iPhone 8 and iPhone 8 Plus featuring an A11 Bionic chip coupled with 2GB RAM which offers outstanding performance to the Apple phones and left behind some computers. 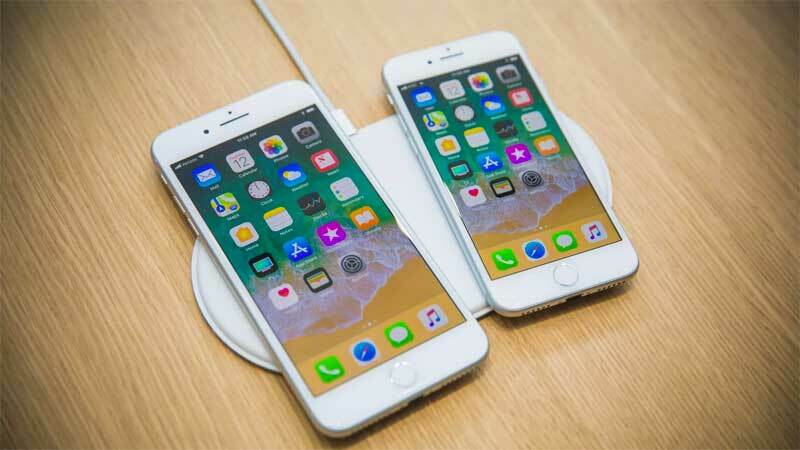 The eighth generation Apple phones comes with wireless charging which supports fast charging and also compatible with adapters and Qi accessories. Both iPhone 8 and iPhone 8 Plus sports a 5.5-inch touchscreen display along with the resolution of 1920 x 1080 pixels. It packs a 2691 mAH lithium-ion battery and available in two storage variants 64GB and 256GB. There are several waterproof phones available in the market, but none is quite impressive than the iPhone X. 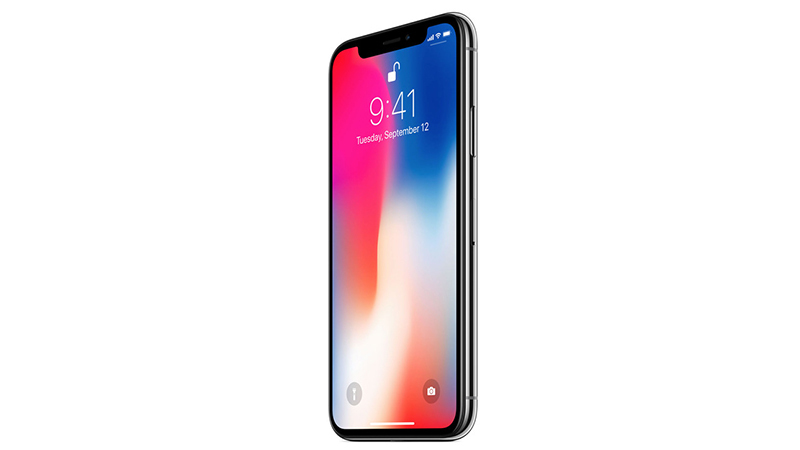 The iPhone X certified with an IP67 rating which is capable to survive at a height 3.3 feet of water but not more than 30 minutes. That should give you some piece of mind, in the unfortunate event your $1,000 investment takes an untimely swim. Whereas the iPhone X is in trend these days for the other marvelous feature. iPhone boasts a 5.8-inch OLED display along with resolution of 2436 x 1125 pixels and also has a slim bezel. It also has an outstanding feature facial recognition which allows the users to unlock their Apple iPhone X. It comes with the A11 Bionic hexacore processor clocked at 1.3GHz and based on the iOS v11.1.1 operating system. It is powered by a 2716 mAH lithium-ion battery. 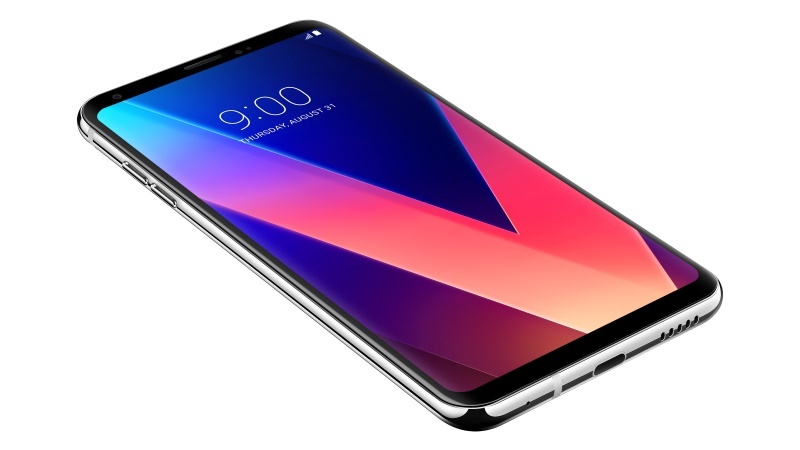 The latest model of smartphone launched by LG is V30 which is designed in a way to satiate the needs of those who love photography. It has dual cameras, wide-angle lens, and options to select video effects. Apart from these, it is also equipped with protective measures to protect it from any kind of damage by any intruding foreign particles. It is also water resistant and has an IP68 rating which makes it more water resistant than iPhone 8, Pixel 2, and HTC U11 and can remain intact even after being submerged in 5 feet deep water for 30 minutes. The other models like iPhone 8, Pixel 2, and HTC U11 have the comparatively less water resistant capacity and has been given IP67 ratings. They can resist 3.3 feet deep water and not more than that. No, you still can’t purchase Huawei’s most recent flagship on our shores quite yet. In the event that current in the rumor mill bears out, however, that could change very soon. When the smartphone finally does access the U.S., you’ll have another choice for an excellent, water-resistant Android phone flagship. The Huawei Mate 10 Pro pales slightly in comparison to the Galaxy S8 in terms of protection, boasting an IP67 rating rather than IP68. That means Huawei’s Brand-new can survive 3.3 feet of submersion over a time of 30 minutes, while Samsung’s handsets can deal with 5 feet. The Mate 10 Pro smartphone has been powered by Octa-core (4×2.4 GHz Cortex-A73 & 4×1.8 GHz Cortex-A53) processor with 4/6GB of RAM and 64/128GB inbuilt memory, nonexpendable memory and is embedded with 4000mAh Non-removable Li-Po Battery.